It’s funny how every summer I feel like I can let out a sigh of relief. I stop holding my breath for a cold or stomach bug to afflict our household. I am less likely to keep bone broth on hand and my natural medicine cabinet tends to get a little bare. 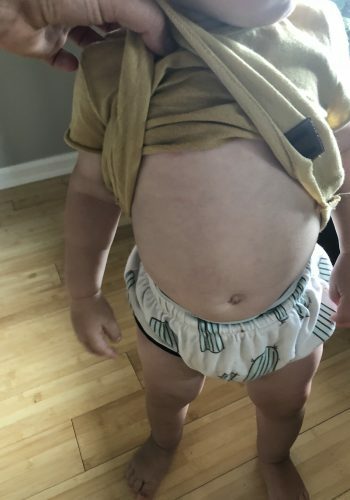 A few weeks ago, the heat really started turning up in my area and I noticed these little red bumps all over my son’s stomach and back. It seemed he was unable to tolerate being outside for more than a few minutes without developing baby heat rash. Honestly, at first I didn’t even realize it was heat rash. I thought he caught roseola or another viral infection that causes a rash. The rash was only mildly bothering him, but it kept resurfacing any time we went outside in the heat. I should have known that once I became a mother, I would need to keep my guard up, no matter the season. If your child develops heat rash, please know that there are plenty of home remedies at your disposal. There is no need to interrupt their playing and rush them off to the doctor without trying a few things at home first. This post contains affiliate links. Read the full disclosure for more info. As it turns out, heat rash (also called prickly heat or miliaria rubra) is quite common among babies, kids, and even adults. It occurs when sweat builds up under the skin and is not able to escape due to a blocked pores. Babies and children have immature or “newbie” pores so they can easily become blocked and develop heat rash during the summer months. Heat rash on babies looks like little red welts or hives and can be quite alarming for parents. This type of rash truly looks worse than it actually is but it CAN cause a burning and itching feeling. Since some of our kids can’t tell us how it feels, it’s best to be on the safe side and take heat rash seriously. Heat rash isn’t a reason to go rushing to your pediatrician. Especially if it goes away after you take your little on inside. Heat rash is a NORMAL part of growing up and maturing. If the rash stays after your child has had time to cool down, it may be a different type of rash. There are a number of topical remedies you can try to lessen the aggravation. I will also discuss some homeopathic remedies for heat rash that can be safely used. The first thing we tried when the rash appeared was a cool oatmeal bath. Colloidal oatmeal is basically just oats that have been ground very fine. I make my own at home with this oatmeal by throwing it in my Vitamix blender for a few pulses. One time, I didn’t have any oatmeal on hand but I did have a box of oat milk, so that’s what we used. 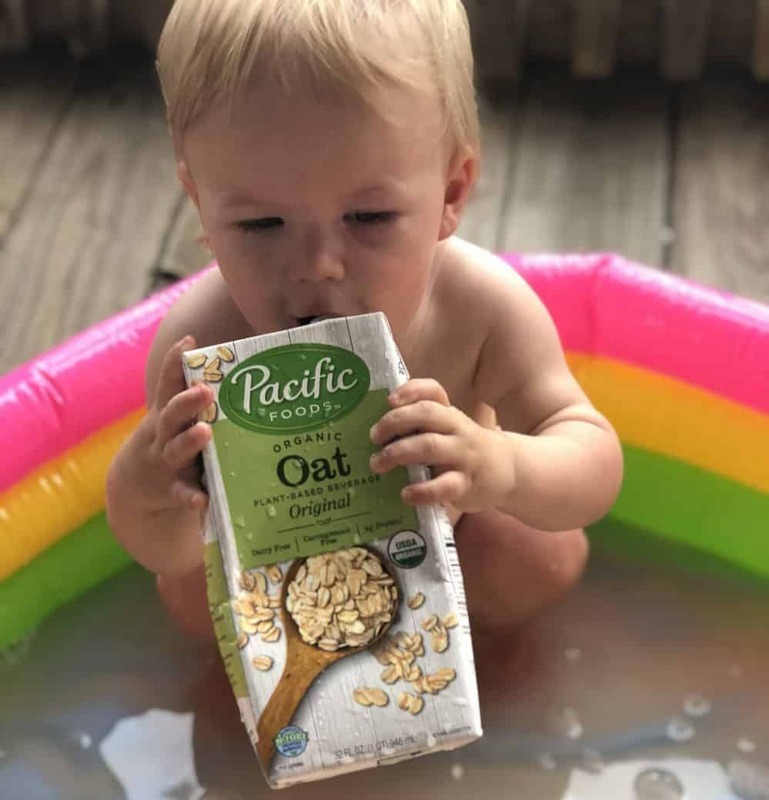 The combination of the cool water and the oat milk calmed the reddened, angry appearance of my baby’s heat rash but didn’t completely take away the welts. I also put about five drops of chamomile essential oil in the bath when my son gets a heat rash. Chamomile is high in flavonoids which is great for any type of inflammation and swelling. The antioxidant and mild astringent properties of chamomile make it a wonderful remedy for skin ailments such as heat rash, eczema, burns, bruises and even diaper rash (source). Every mom needs a vial of chamomile essential oil in her medicine cabinet! 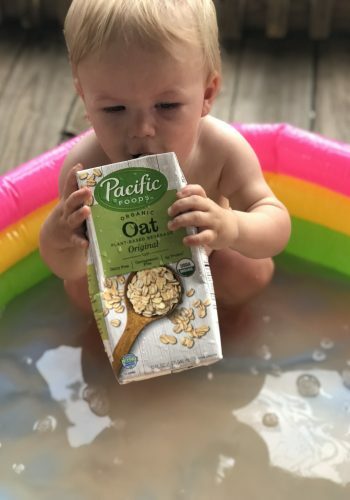 After I gave my son an oatmeal bath, the rash seemed to be cooling down. It was almost bedtime so I felt comfortable having my eyes off him. The next morning his heat rash has almost disappeared. I was hoping this would be the last of it, but sure enough, after we spent some time out in the heat that next day the rash resurfaced. This time it was much angrier than the first. 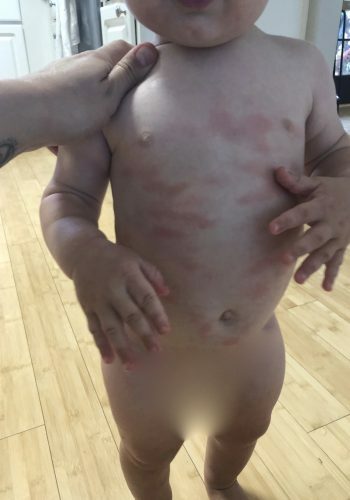 As you can see from the photo he was already playing naked, as extra layers of clothing can trap moisture and heat thus further aggravate baby heat rash. I tried to avoid the heat rash reoccurring by removing his clothing before he played on the back porch. Unfortunately even after doing this, we still had issues. This time instead of cooling down with a bath we came back inside and I applied bentonite clay all over his rash. Bentonite clay works wonders on diaper rash and has been shown to improve dermatitis and heal skin (source). I just slathered it on the rash and let it sit for a few minutes, then wiped it off. The rash looked much better and he was able to continue to play outside in the heat. I like using this bentonite clay because it is already in a paste, which makes it easy to apply to scrapes, bruises, and rashes. 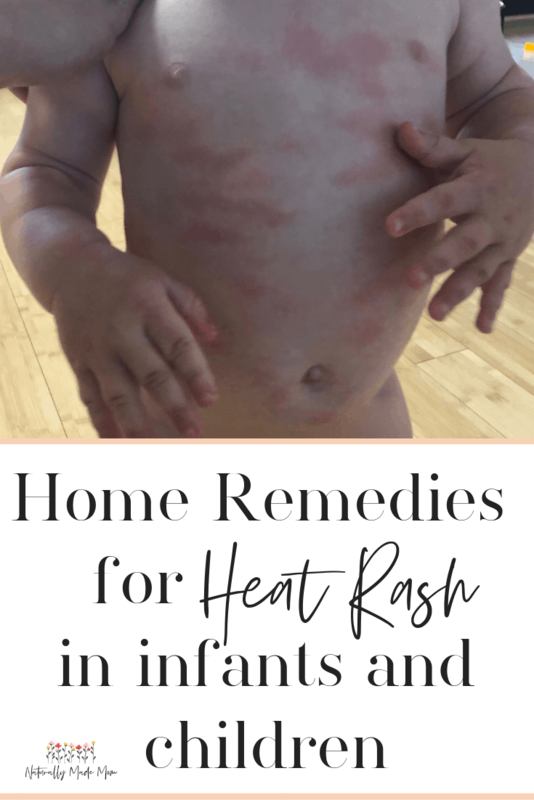 In addition to topical remedies for calming heat rash, there are remedies to decrease our chances of developing heat rash in the future. One of my favorite books for our acute family medical issues is The Family Guide to Homeopathy. I am not an expert in the field by any means. In fact in my being an registered nurse, I have spent the majority of my years administering things like Tylenol and Benadryl. It’s funny how becoming a mom can cause an awakening so to say. I am finding much better health and success for my family by steering us towards homeopathy, essential oils, and herbs for healing. I truly believe conventional medicine has its place. It does a great job at suppressing symptoms but does nothing to heal from within. I want my children to grow with strong immune systems so I can cultivate a lifetime of good health. That is my ultimate goal and can be quite a challenge when something scary like a rash or fever appears. As a mom you just want it gone and your baby to feel better. The Family Guide to Homeopathy was the first book I purchases as I started this journey to a natural way of healing. We have already seen some incredible results and I am just getting started! Sulfur is a common element also known as Brimstone and can be found near volcanoes and hot springs. You would probably recognize the smell of sulfur hot springs like that of boiling eggs. I remember when my husband and I traveled to New Zealand visiting hot springs that heralded prophecies of youth and healing should we choose to take a dip. You can find these same healing properties in the homeopathic remedy sulphur 6C. You can use the homeopathic preparation of sulphur for baby heat rash especially when the skin is very red and itchy. It worked very well for us the first time the heat rash appeared. After two doses about 1 hour apart my son’s stomach was almost perfectly clear. Dulcamara works well for a rash that appears after becoming overheated in damp weather. Dulcamara is the plant Bittersweet Nightshade that grows in Europe, Africa, North America, and Asia. It has purple flowers and the homeopathic preparation is made from the stems and leaves. I gave this to my son the second time the heat rash appeared. It went away almost immediately after I brought him inside and administered it. This remedy only required one dose for us. I wish you the best in your mothering journey and your family great health. For more ways to boost your family’s immune system check out a few of my other posts. Are you a green and crunchy mama? Let's connect! When I learn something new, you learn something new! 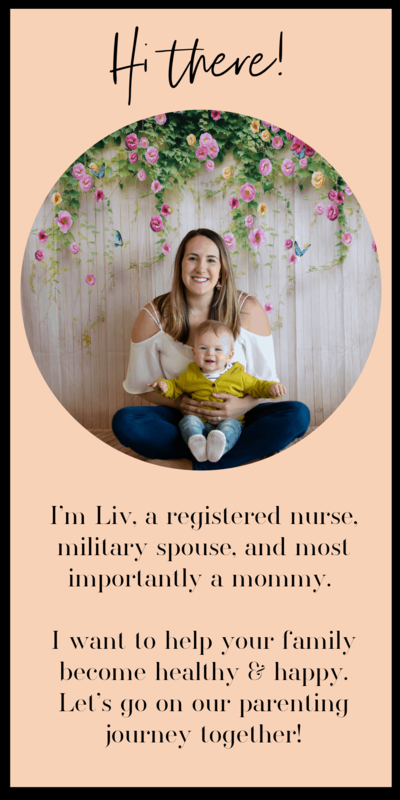 I also give away lots of fun printables and activities ideas for moms of littles!